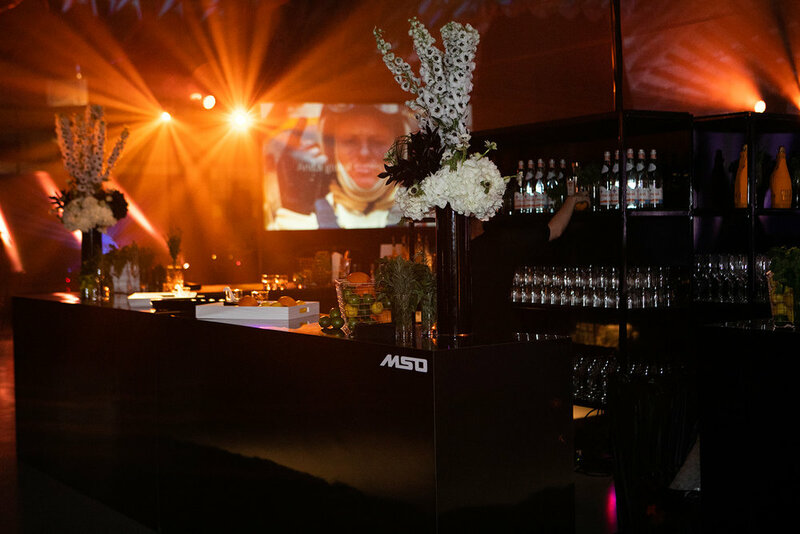 Each year McLaren holds their annual MSO Ball, an event held for their most loyal and daring of clients. Daring because MSO stands for McLaren Special Operations, and this is their very own bespoke vehicle ordering program. Most of which orders consist of unique paint colors like the Cerberus Pearl P1, difficult paint finishes like the Velocity 720s that was revealed at a past Geneva International Motor Show, and sometimes a totally custom carbon fiber color weave like the all green exposed carbon fiber Senna delivered in NYC earlier this year. 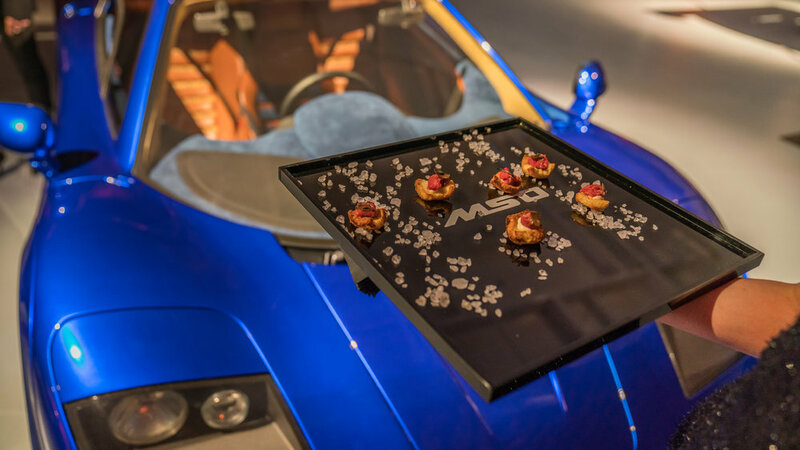 It is these clients and their passion for the vehicles as an art that needs celebrated each and every year, so Letizia Silvestri orchestrated a ball of her own; An Evening with MSO, themed Racing Through the Ages. 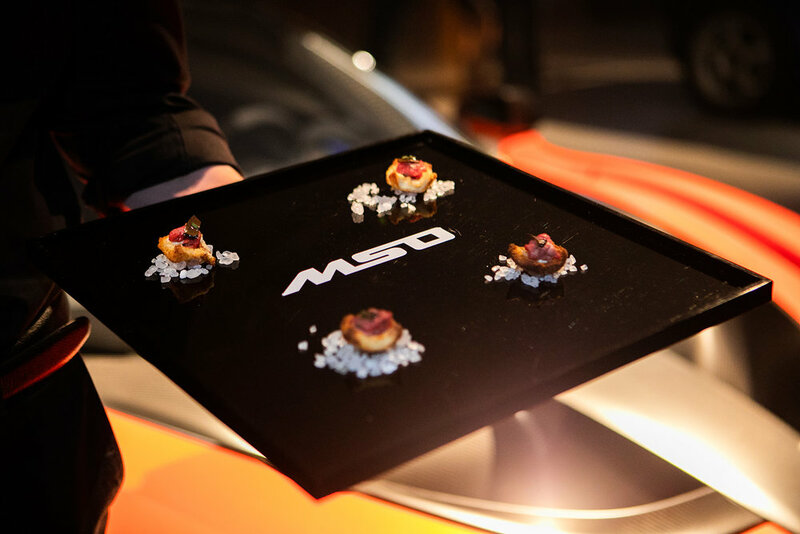 What better way to celebrate than to unveil a collection of 6 unique vehicles imagined by McLaren Beverly Hills created by MSO. Silvestri first and foremost mission was to generate awareness for MSO, by helping create the 6 unique vehicles with the brands roots of racing in mind. Each and every color in the collection was thought out and meaningful. For example, Papaya Spark, an orange representing the racing livery of McLaren’s most victorious times; Muriwai White a light blue but at times white from Muriwai Beach, New Zealand home to Bruce McLaren as well as his first victory behind the wheel of a McLaren; and finally Sarthe Grey representing the smoke and dark challenges that ultimately led to the first victory at Le Mans. It was these elements and narrative that Silvestri the used to create a unique sensorial experience. Upon finding an old entirely empty former grocery store in Los Angeles’s, Koreatown her imagination ran wild, and guests were about to enter a sensory overload starting in the parking lot. Of course all guests were encouraged to drive their McLaren, and the later the arrival the more colorful the lot became. As they began to enter the venue, guests had a taste of the Grand Bevy mixologists, creativity. 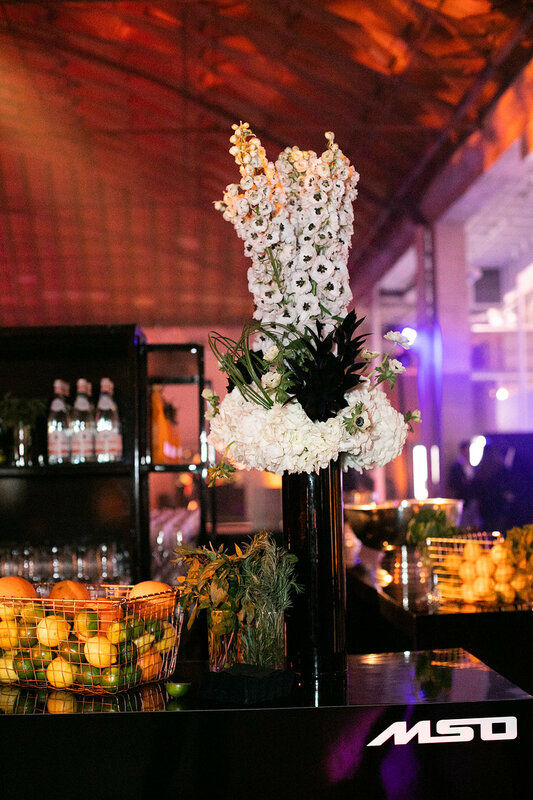 Among the bars throughout the venue, there was a smoked drink station featuring The Sarthe Grey; a stunning 50/50 vodka martini with aromatic cherry wood smoke and tiny beads of exquisite olive oil. The other signature drinks featured were the Muriwai, a cool and refreshing cocktail with a floral bouquet, and The Papaya Spark made with a brilliant papaya orange. Both of these drinks were available as a cocktail as well as the edible molecular form. 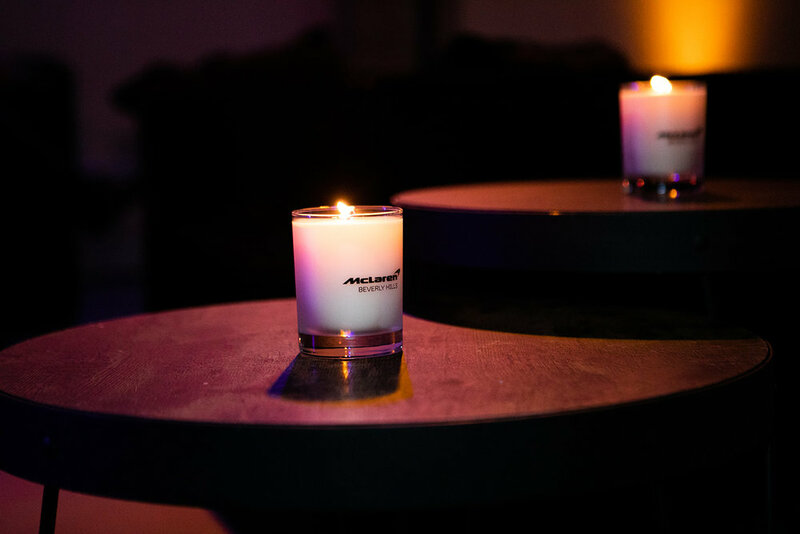 Cocktails were made with products from creative alcohol partners like Vodka from Absolut Elyx, Kikori Whiskey and Tavi Tequila, and some were even marked with Silvestri’s signature of the McLaren logo atop the beverage. If a guests didn’t want an alcoholic drink, they could have enjoyed water from Acqua Panna. For food guests were invited to enjoy bites from a traditional British cheese station as well as a seafood station featuring smoked salmon, but that’s not all. All tray-pass circulating the room had a detail of orange, like Runs Brioche bread with foie gras and orange reduction; blinis, with smoked salmon & small salmon roe eggs; roasted baby carrots in a blanket; squash and goat cheese bruschetta. While desserts consisted of a signature English choice, sticky toffee pudding, as well as an orange dessert of mini pumpkin pie with pecans. 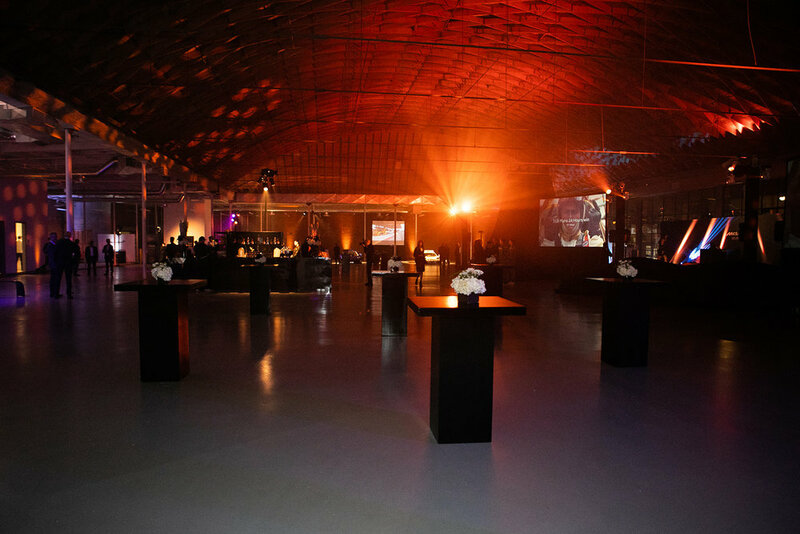 Also throughout the venue were various forms of entertainment including places for guests to lounge and mingle, and even down to the furniture, Silvestri is able to reflect an element of branding. 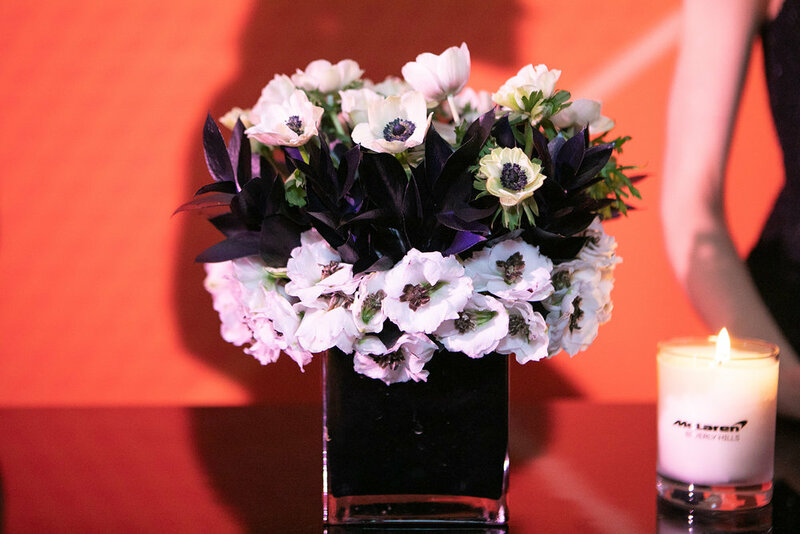 The MSO logo consists of both a lacquered black finish as well as a matte, and all of the sleek modern furniture and rentals from Red Carpet Systems and Line 204 Events reflected this combination. 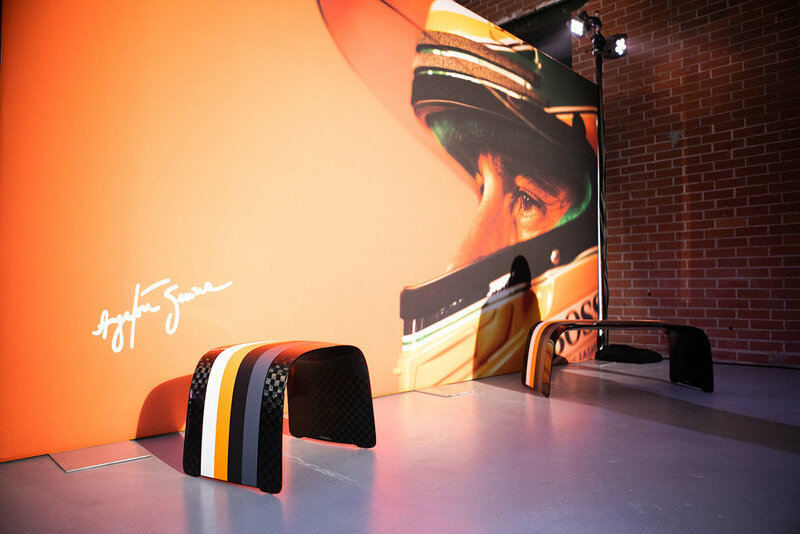 There were also activations from creative partners Pirelli, who created a donut wall where donuts were shaped and decorated like Pirelli tires; Microsoft, McLaren’s formal partner, provided a Forza game simulator where guests could enjoy a simulated drive in the Senna, while an automotive candy store was still waiting to be discovered. Silvestri well aware of the brand, created an indoor paddock, to reflect the rich racing history of the brand, as well as a fluid display path. In this paddock guests had a once in a life opportunity to see a McLaren Can-Am car borrowed from the Petersen Automotive Museum driven by Bruce McLaren, along with a McLaren 570s GT4 in orange and silver from MSO, a McLaren F1 and F1 GTR, as well as two Senna’s one in entirely exposed carbon fiber also commissioned through MSO. But while these cars were quite the group, there were still six new creations to be seen and the time had finally arrived. 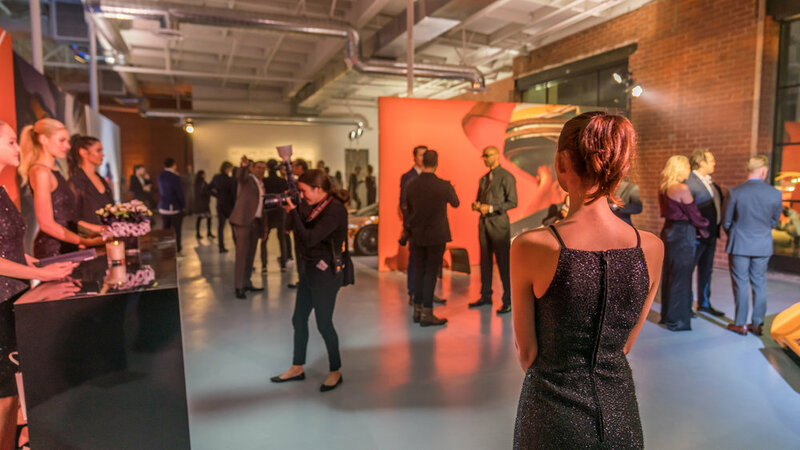 Celebrity actor Aldis Hodge and magician Frankie Foti, the hosts for the night as well as entertainers were ready to show you the special vehicles that McLaren Beverly Hills had commissioned through the MSO program. 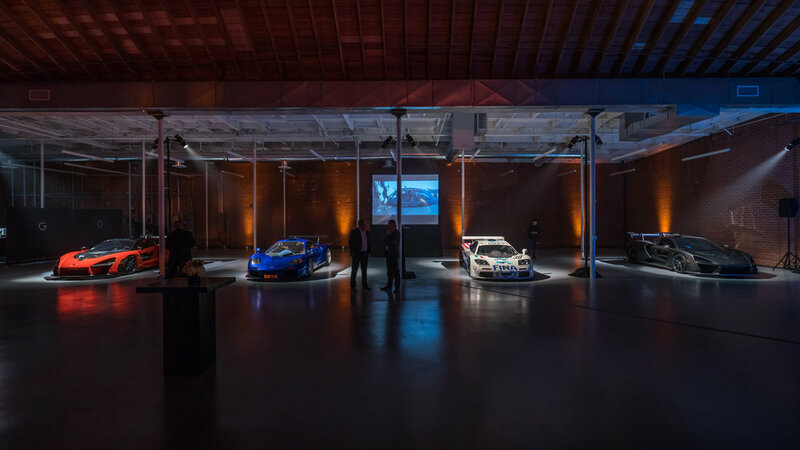 These cars were the epitome of Racing through the Ages and designed by McLaren Brand Manager Chris Blank, along with Tom O’Gara, who first kicked off the speeches by thanking the guests that they had come to know over the last year for helping them create a community unlike any other. The microphone was handed back over to the entertainers, and not only through the comedy and magic of the hosts brought in by Silvestri, there was even more. The six commissioned cars fell into one of three themes that was kept in mind while building them. To welcome the Sarthe Grey duo, smoke filled the room in lieu of McLaren’s difficult victory at the ‘95 24 hour of Le Mans. 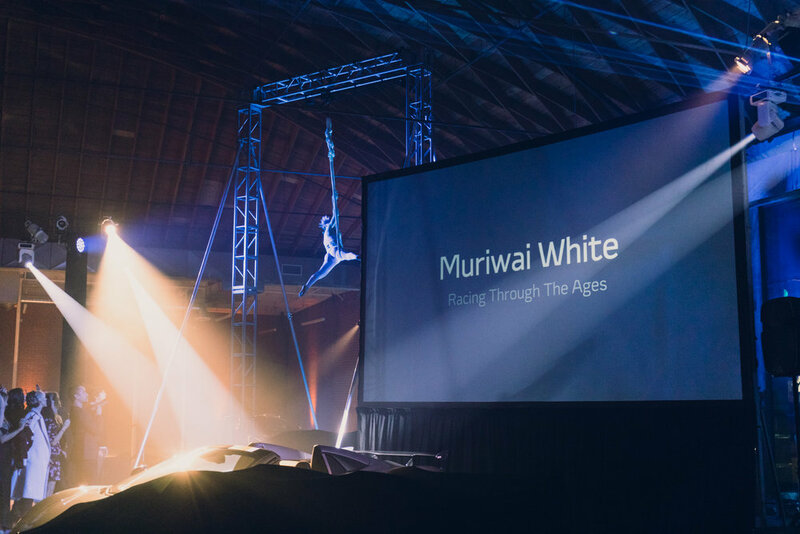 The Muriwai White was introduced with a water themed aerial performance ending with the dramatic kabuki fall to showcase the cars, and finally the Papaya Spark pair. Thanks to The Lighter Side and Frankie Foti getting the audience involved with sparklers, the cars were welcomed with the bright light of victory. Each theme was shown on two 570S, one coupe and one spider all with a GT4 racing stripe on the exterior of the hood and roof, along with an additional wing and the MSO Defined Black Pack. 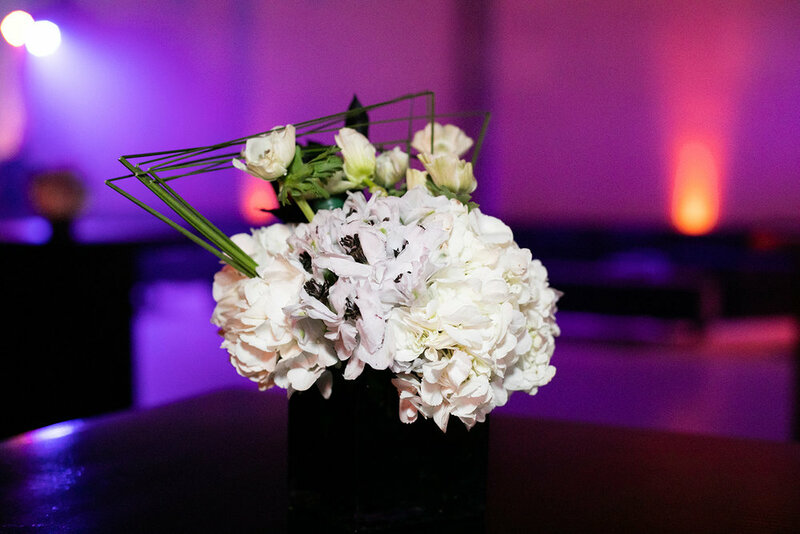 Additional creative partners than night were Finspeed, Technogym, and Essence of Strength, and all guests were had left the night with a gift from Valmont. Photography by Stephanie Godfrey, Grubbs Photography, Getty Images and Advent Films.